Finally after 9 months of videos, the moment we've all been waiting for...my labor and delivery vlog! 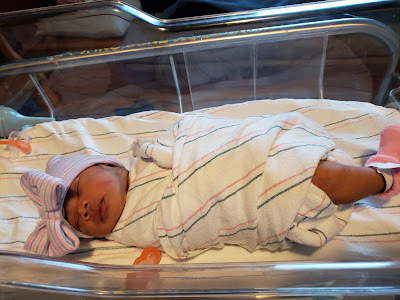 Welcome baby girl to the world and check out how my experience went delivering my first baby. Thanks for your patience as I caught up with videos. I'm so excited for you guys to finally see baby girl for the first time! Check it out! 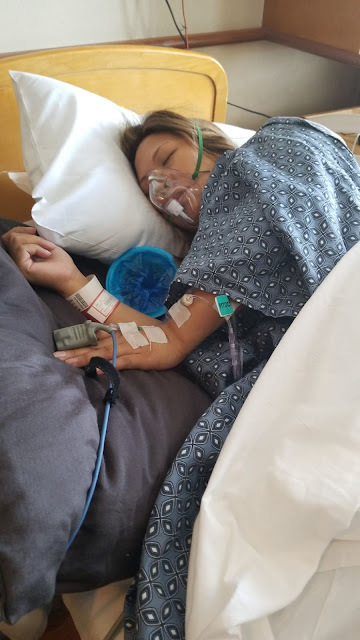 I was checked into the hospital Thursday, August 30th after discovering that my blood pressure was high at my 38 week doctor's appointment. I was given Cervidil overnight to soften my cervix. After 12 hours of contractions and no sleep, I still was no dilated. I was then given pitocin as the next start of induction to give me contractions. By lunchtime my water broke as the doctor was examining me and then the contractions got worse. Baby's heart beat was dipping a bit with each contraction so I was on monitors the entire time and forced to be in bed in a side position. I had an epidural by the afternoon and was 9cm dilated by 6pm. However, the baby was still high and we decided to see if I could push her down on my own by 11pm as we were hoping baby would be born before midnight. I pushed so hard I burst blood vessels in my face and chest and had swollen eyelids. Baby girl was born 45 minutes later weighing 7 lbs and 19 inches long. Welcome Arabella! If you want to send Arabella a gift, check out our Amazon Baby Registry!